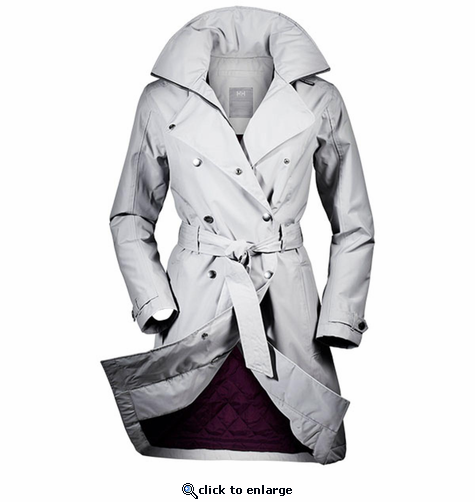 Enjoy this Scandinavian take on a longer trench coat for women Without compromising style, we have bumped up the functionality and created a modern insulated Helly Tech jacket for the city that is warm, waterproof, windproof and breathable. Classic styling and rich detailing makes this coat unique. Stand-out technical solutions with full zip closure and ventilation prepare you for a busy day and challenging weather.